Located in the beautiful city of Minnetonka, our restaurant has been dedicated to offering the most memorable dining experience for you. We pick ingredients carefully and use only the freshest and natural ones to prepare every dish, and have been trying to cook them in a healthier way to provide the most nutritious food. Much attention has been attached to ensure you a cozy and inviting ambiance where you could enjoy not only the great meal but also the authentic atmosphere. 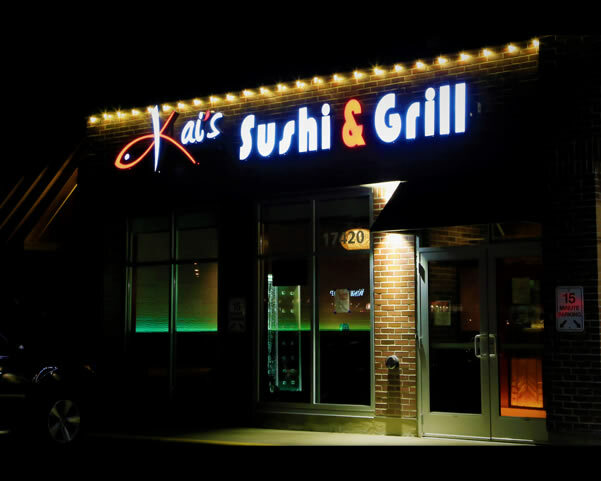 The owner and all staff in Kai's Sushi & Grill will greet you with the warmest welcome, whether you are a habitual patron or come for the first time. We have made painstaking efforts to create the tidiest and cleanest dining place, and guarantee you with friendly and timely service. All of your demands and feelings will be cared in our restaurant.